My name is Elizabeth Robinette Tyndall and the entry number of my wedding dress is #358. I live in Clayton, California and was motivated to enter the contest, because of my Mom. She reads the comics daily and knows how much I love to create, so she sent me the contest and that’s when I began working on a dress design. 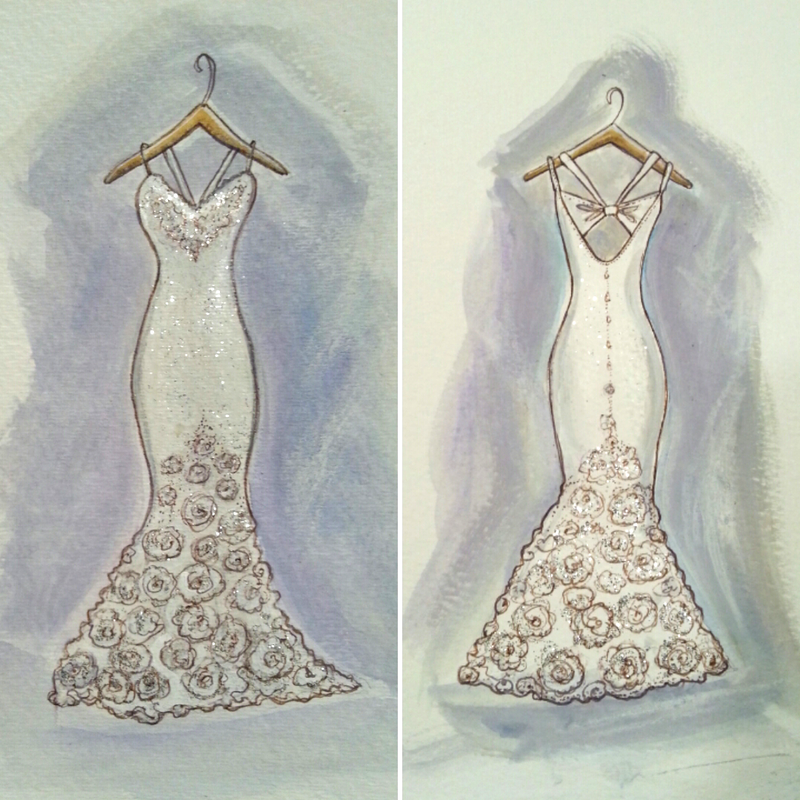 I didn’t know much about Toni, but that she was a pretty blonde character that was a fireman and was getting married, so I wanted to make the dress her style; fitted, elegant and feminine with a touch of glitter and glam. I couldn’t sleep one night, which is pretty common for me, so I found myself at 4 in the morning getting out my pens and paints and creating this design.